Studio: Studio Lagree, 425 Spadina Rd. 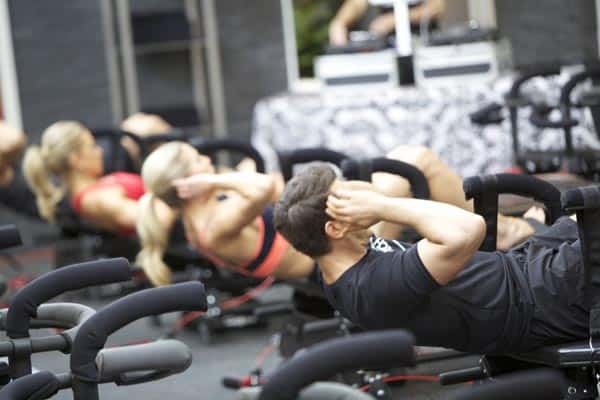 Description: This class involves you, a Megaformer, and every single effing muscle in your body. No warm-up. No break between sets. You’re planking from the starting pistol. Various contortions come into play, targeting/annihilating core. Lunges: Thank God there’s a bar that you use for balance because at this point the once padded, fun, and swingy Megaformer is a hot bed of instability and menacing edges. Squats: The once beloved bar now functions as weight, working your shoulders. You’ll never be so happy to do a sit-up: safe and sound and horizontal. Arms: I don’t know, it’s a blur. An assistant is on hand to help with form. Don’t be embarrassed if you sweat on him. I did (cringe). Stretch: But not like Child’s Pose stretch. Like lunging again, except at least this time you have one foot on the dreaded Megaformer and one foot on lovely, solid ground. Reason I signed up: “Pilates on crack.” Yes. Yes, it is. That’s the unofficial name for Sebastien Lagree’s hybrid Pilates, strength, and cardio class. 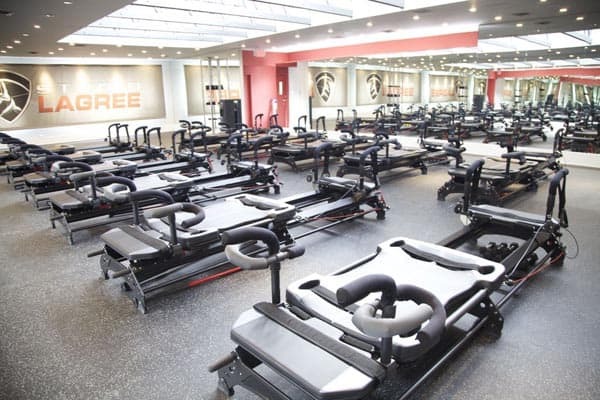 With roots in West Hollywood, this class is a celebrity favorite. If it’s good enough for Courtney Cox, Nicole Kidman, and Britney Spears, it’s good enough for me. Price: $35/class. First class free. Package savings available. Why you should (or shouldn’t) try it: If balance is an issue, don’t’ try it. Slow and steady might win the race, but in this case, it can also lead to lightheadedness. The pay-off? The next morning your body will be in some kind of pain, but in the best kind of way. Overall assessment: If you’ve ever wondered what it would feel like to be made of JELL-O, you’ll know at the end of this class.